The unique Rockboard Descender Awesome All Terrain Skateboard features a very innovative design. There are thirty six wheels which are surrounded by treads. The treads are similar to those that you would expect to see on a tank. This board is great for downhill racing and the traction makes it usable on a variety of surfaces. Riding a normal skateboard on grassy slopes, snow or wooded paths is a difficult thing. 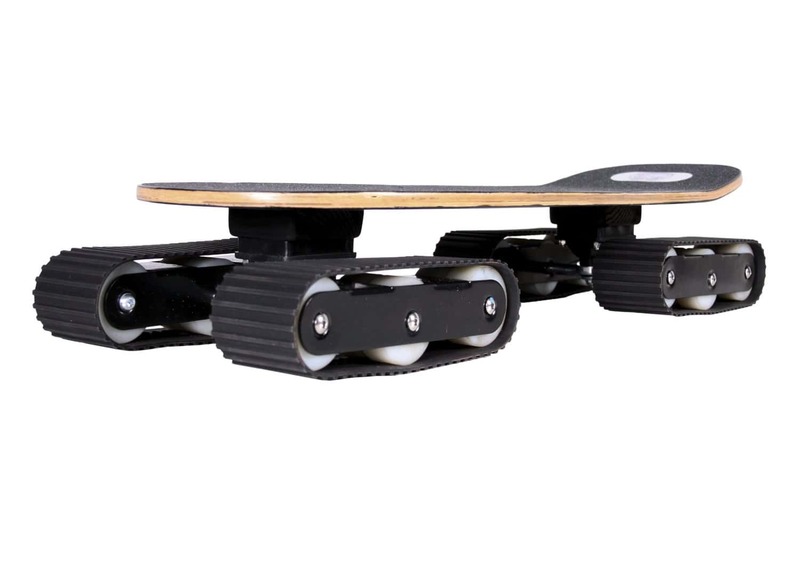 The Rockboard Descender Awesome All Terrain Skateboard allows you to ride on these kinds of surfaces. Off - road skateboarding is now a real and exciting possibility for all thrill seeking skate enthusiasts!